News and views from the British Council for Offices. “At a time of uncertainty for the UK, as our impending exit from the European Union looms, there is understandable concern of what the future may hold for Britain’s economy. However, as negotiations with Brussels continue, the construction industry is weathering the storm with output rising every month since April*. The overall rate of expansion in UK construction in October proved to be the second largest in 16 months and this was thanks in no small part to growth in commercial construction activity. “Within my region, Bristol is a perfect example of how bold and forward thinking commercial developments are able to provide a city with a real economic boost. Indeed, as the city increasingly competes with larger cities such as Manchester and Birmingham for investment, demand is starting to outstrip supply, with property agents now warning of a shortage of Cat A and Cat B fit outs for expanding professional services firms. “This fantastic city is already home to some major global players and the calibre of their office spaces should and does reflect this. This can also be seen in our continuing presence at Salmon Harvester Properties’ Glass Wharf development at the city’s Temple Quarter Enterprise Zone. “We handed over 2 Glass Wharf in 2016 and it is now home to PwC, Grant Thornton, Foot Anstey LLP and Arcadis Group. 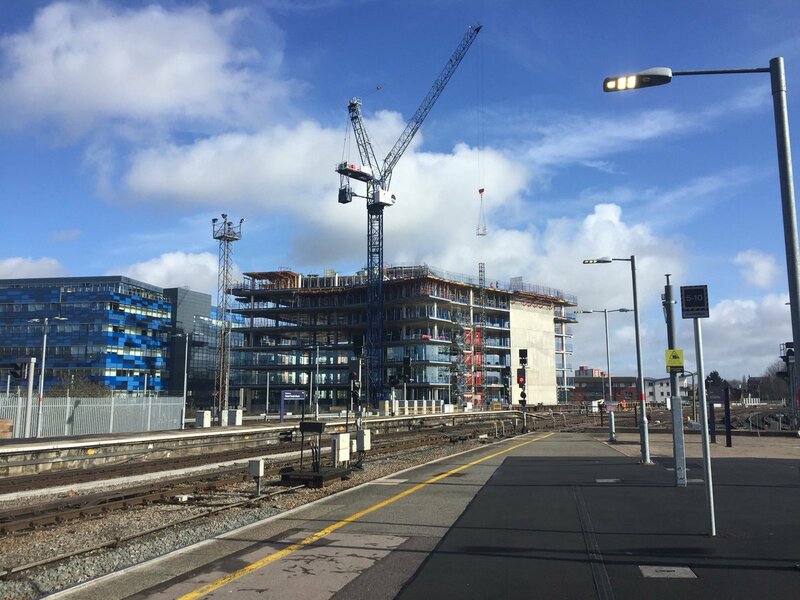 Fast forward to 2018 and construction is nearing completion at 3 Glass Wharf which is seeing us build 15,000 sq m. of Cat A office space to be occupied by HM Revenue & Customs (HMRC) as part of its regional centres programme. This HMRC modernisation plan alone is yielding significant economic boosts for the regions in which new centres like this are based, providing high quality, skilled jobs in modern, cost-effective buildings. “Programme certainty and quality are always critical within office developments and particularly here where HMRC has a strict timetable in which to achieve its comprehensive UK wide estates transformation. 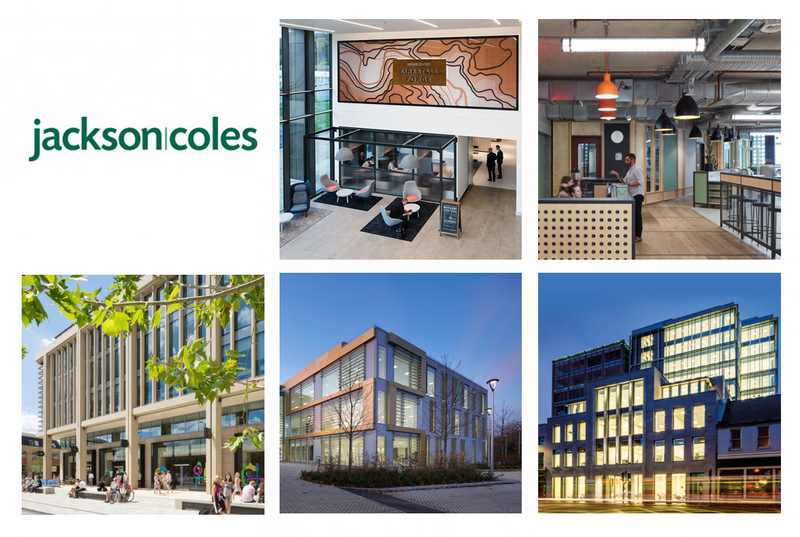 So our work is continuing apace and we recently hosted a visit from the BCO to share best practice about our experiences and achievements at this prime Bristol office development. “These include our efforts to be a force for good and investing a targeted £24,000 into social enterprises as part of our project supply chain. We have also appointed subcontractors from within a 30-mile radius of the site. “Most recently, our presence in the area has resulted in the renovation and fit out of a 19th century classroom at Hannah Moore Primary School nearby. Thanks to a £10,000 Wates Giving grant, this has been transformed into a ‘Nurture Room’ to provide emotional, social and behavioural support to the school’s pupils. 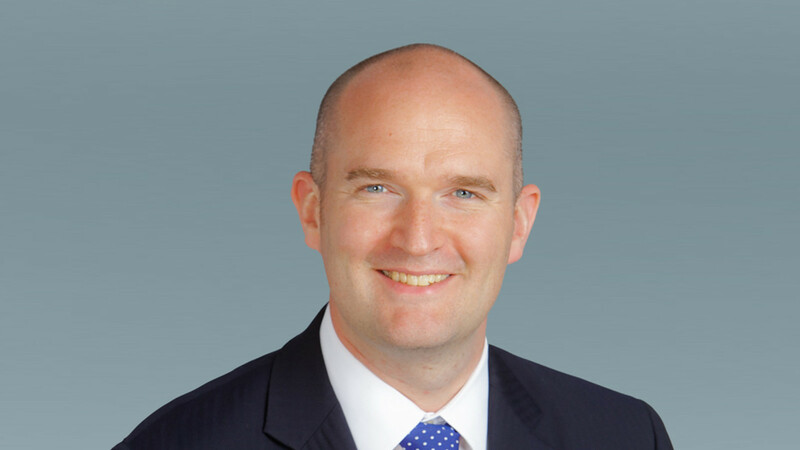 Alec Jackman is Business Unit Director for Wates Construction in the Southern Home Counties. 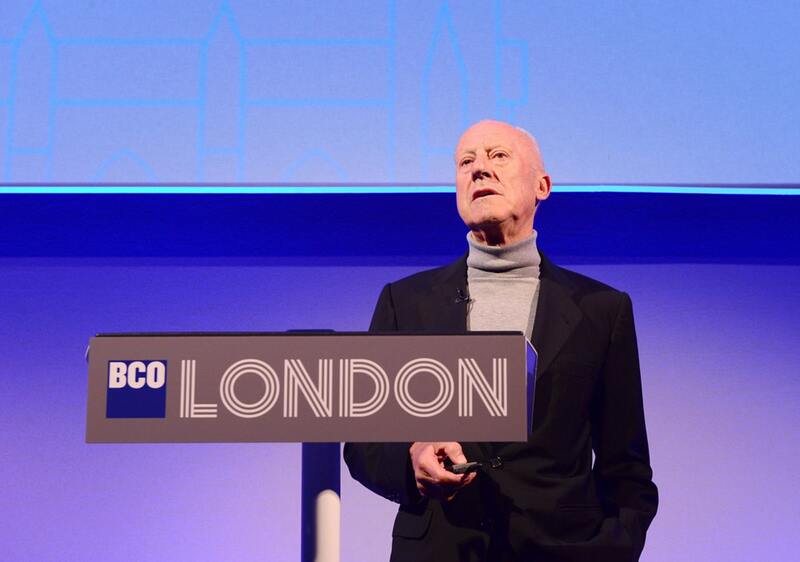 Stay up to date with upcoming #BCOevents and news on @BCO_UK. BCO NextGen Awards - It's almost time! Every year the country’s top designers, developers, architects and occupiers under the age of 35 celebrate the achievements and successes of young professionals in the commercial property sector and their mentors at the BCO NextGen Awards. The Awards are part of the BCO’s NextGen programme, which sets out to mentor and encourage the next generation of professionals to become future leaders in the industry, whilst providing a platform for new talent to share ideas. NextGen members also vote for the office environments and buildings that have most inspired them. The BCO NextGen awards are judged by BCO NextGen committee members and winners from across the country will be announced at the awards evening on 1 November 2018. 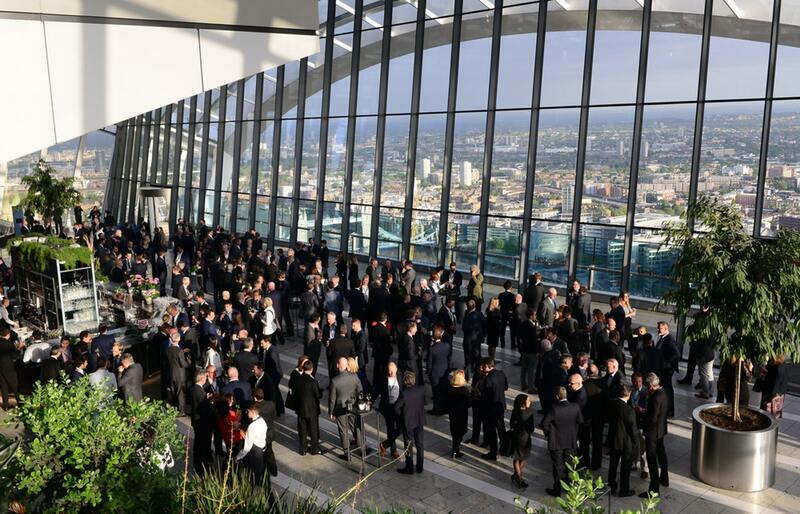 Last year saw a hugely successful awards night held at U+I in London to celebrate a brilliant 2017 in commercial real estate. After an equally exciting 2018, with so many brilliant achievements racked up by rising stars across the country, competition will be fierce for the awards on offer as we recognise the accomplishments of bright young talent nationally. 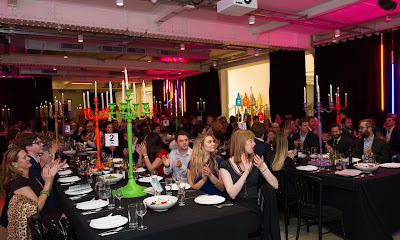 This year we hope to make it the biggest one yet and this will be at an even bigger venue (‘etc venues 155 Bishopsgate’) with Multiplex as the headline sponsors. The event will be hosted by Lucy Porter. 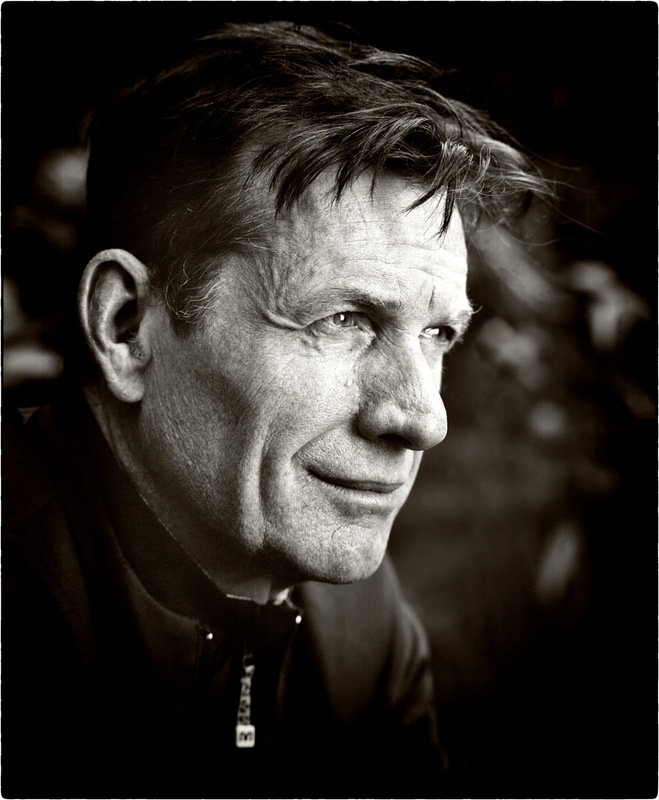 “As part of my legacy it is very important to me to focus on the NextGens. They are our future and hopefully as an industry we will encourage attendance at key networking events throughout the year. It is encouraging to see such support from sponsors, the membership, mentors and senior people in the industry who give up their time in their busy schedules”. With around 350 industry professionals expected to attend this hugely popular event, those wanting further information or to book their tables/places should book online. There are a few spaces left. Alternatively contact events@bco.org.uk for any queries. Learn more about the industry wide programme highlighting the achievements of young professionals in the commercial property sector. View the list of sponsors. 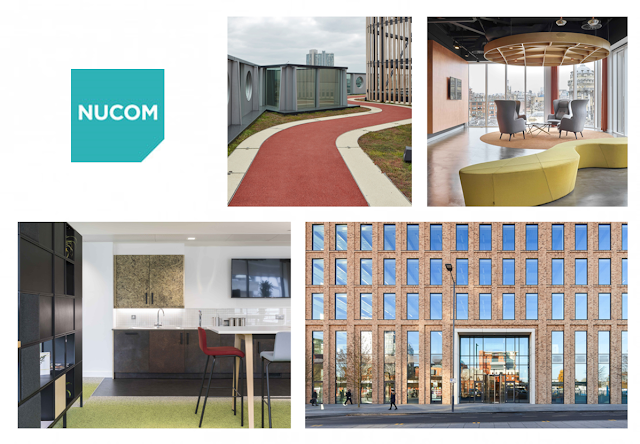 Click here to learn more about Nucom and other BCO Awards sponsors. 1) What is your name and what do you do? Hello, I’m Cristiano and I’m a director in the interiors group at TP Bennett. 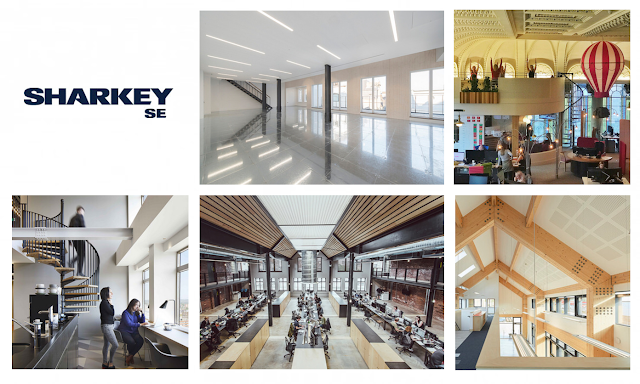 I lead a team of talented colleagues focusing on all the strategic, creative and technical aspects of workplace projects, from the early feasibility stages to the last inspections on site, and everything in between. Together we work on a number of projects, for prestigious clients in various sectors including tech, legal, financial, and professional services, both in the UK and abroad. I joined the BCO as a NextGen member, very soon after starting my career over a decade ago. 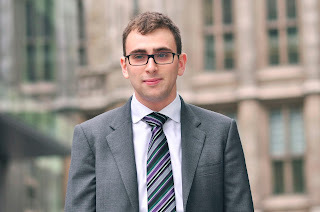 I was fortunate to become involved in the NextGen Committee in London and the South East when it was a new initiative, and I helped the NextGen group grow to its current membership of over 600, including with my stint as Chair. The Awards organisers felt I could bring a NextGen angle, as well as an interiors viewpoint and experience of the booming tech sector. 3) What do you most look forward to when judging? The obvious answer is that as a BCO Awards judge you get to see the best buildings and fit-outs in the country. This is a privilege that few people in our industry have access to, and is also a great learning experience as it shows how everyone works differently. Some submissions can really surprise you with their innovative responses to the challenges of the location, the brief, and the budget and programme. 4) What tends to excite you, initially, about submissions you really like? This might sound superficial but the very first thing that excites me is the quality of the submission document itself! Perhaps it’s because I’m a designer, but I really appreciate it when teams take the time to prepare a well-designed submission with eloquent and concise writing, powerful graphic design, and strong photography. Not only does it provoke a far more engaged response from the judges, but it also shows that the team really cares about their project. Obviously, you can’t judge a book by its cover, and this is why it’s essential to visit the sites and see the projects in person – but a good submission is the best possible start. 5) What do you see as a key benefit of entering the awards? Prestige and recognition are obvious benefits, for the professional team but also the client. But there is a also a less obvious, ‘lateral’ benefit to the whole process. A BCO award judges excellence across all aspects of creating a workplace, and bearing the criteria of the awards in mind right through the project is an excellent compass to guide teams. In short, everyone should approach every project as a potential BCO award winner – it’s a great incentive. 6) What have you learned from judging the BCO awards entries? Three things stand out. First, that we are very fortunate to work in an extremely talented industry where the competition is impressive, and there is no room for complacency, half-baked solutions, or just following the status quo. Second, that everyone works differently – some projects in particular amazed me with their innovative ideas, often very simple but incredibly effective. Third, it really opens your eyes to the judging process and shows that an award winning project needs to consider every possible angle. 7) Have there been any trends? Seeing the various shortlisted projects really reinforced the trend that we’re seeing consistently across the industry – that workplaces are no longer just ‘a place to go and work’ but they are hubs for communities of people, they are talent-attractors and talent-retainers, they are flagships and sources of great pride for the businesses that work there, and they don’t have to be ‘boring offices’ – they can be great fun. 8) What have you been most impressed with? As someone who lives and works in London it’s easy to get sucked into the buzz and hype that exists in and around our capital. But the incredibly high standard of quality in all the regional entries shows that our industry is a very level and competitive playing field across the country. I saw some of the most innovative, forward thinking and creative solutions in submissions outside of London – which is doubly impressive as very often these projects don’t have the budgets available within the M25. 9) As a judge, what are your hopes for the judging process next year? In other words, as a judge what would you like to tell applicants and potential awards applicants about the rigor of the process? I would say that everyone should aim to make every project the best it can be – start by thinking ‘this project will win a BCO award when it’s complete’ and hold that thought throughout. It is only with this unwavering commitment to excellence that projects can qualify – the competition is fierce and the process is highly rigorous – but having seen the quality of this year’s submissions, I am immensely proud of our industry and I have no doubt that next year us judges will all be ‘wowed’ again! 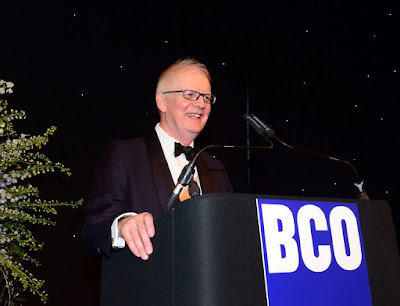 The BCO National Awards Dinner is taking place on 2 October 2018. 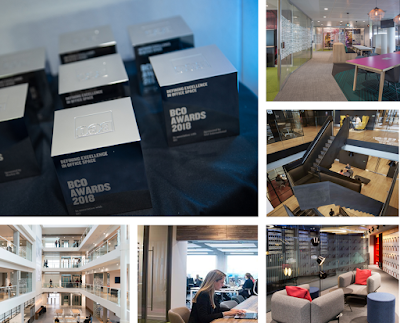 Entries for the 2019 BCO Awards open on 3 October 2018. The questions don't tend to change year on year, so if you would like to start preparing your entry, download the entry guide. Nigel Clark is Technical Director with Hilson Moran and has been involved in the design and construction of buildings for over 39 years. His early career was in the public sector, where he was involved in the design of large scale Educational, Leisure, and Court Buildings. Since joining Hilson Moran he has been involved in major commercial schemes for both developers and end users, including some of the tallest buildings in the UK. Nigel became Chairman for the London and South East BCO Judging panel in 2012. 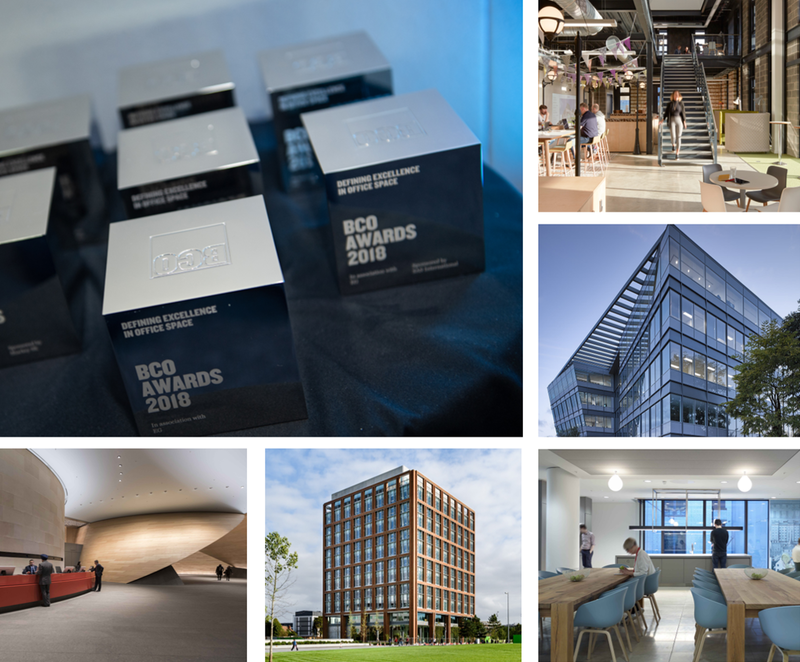 As the Chair of the BCO Awards National Judging Panel in 2018 he describes the judging process as a great opportunity to see the best office buildings that this country has to offer, and a tremendous privilege to receive presentations from the entrants. 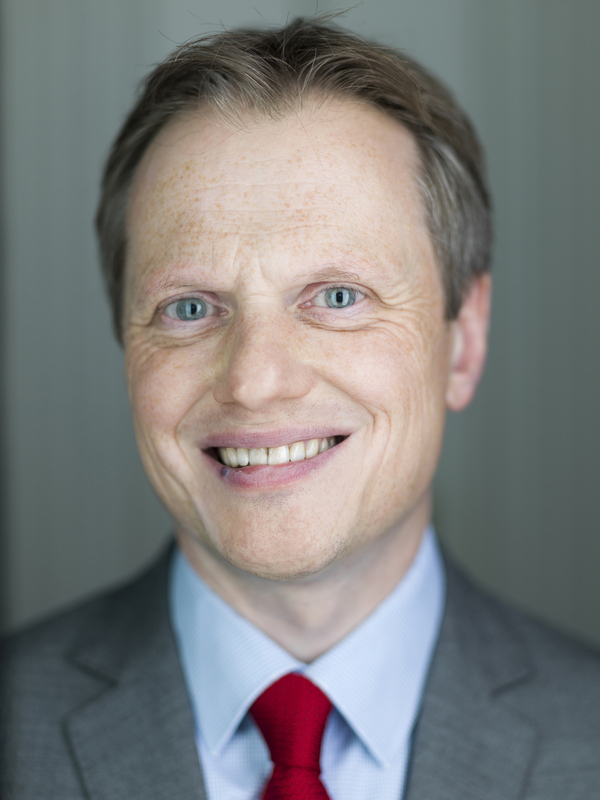 Learn more about who joined Nigel on the BCO National Awards Judging Panel. 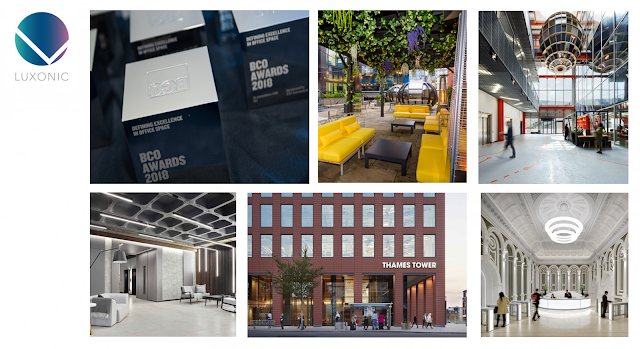 Book online for the The BCO National Awards taking place on 2 October 2018. In July's CIBSE issue, Elementa's Ed Garrod explains the importance of workplace health and wellbeing and the research behind the recently published BCO Wellness Matters Report. "A well observed shot and very balanced." "Powerful story telling, the photographer alludes to the people behind the façade." James has been a BCO member for 15+ years. The Rumba Foundation is run by his wife Fiona Hindle. Fiona had been a trustee at the University of Cambridge Veterinary School Trust and about five years ago set up The Rumba Foundation, named after their first Burmese cat. Mrs Hindle said: "Our remit is to support clinical care for companion animals. We can guarantee that all donations go directly to the causes we support, so we make significant and immediate impact. Since we formed Rumba we have raised almost £100,000 through events using our contacts across the property and construction sector with many of them BCO members." “What Rumba is doing is helping change veterinary oncology, no question!” -Professor Nick Bacon, Clinical Director of Oncology, University of Surrey. "One of the major projects we have funded to date has been buying a C-Arm (above) worth £60 000 which is a live x-ray machine and accompanying lead gowns for the Fitzpatrick Referrals Oncology and Soft Tissue Hospital (FROST). Through our donation this has allowed them to not charge patient owners for the use of the equipment so not only are patients benefiting from the most pioneering equipment, it also means that their animals are having treatment that the owners might otherwise not be able to afford. Most importantly, the world-class oncologists vets at FROST have monthly meetings with the oncologists doctors at the local Royal Surrey Hospital , so there is considerable crossover and learning for animals and humans. 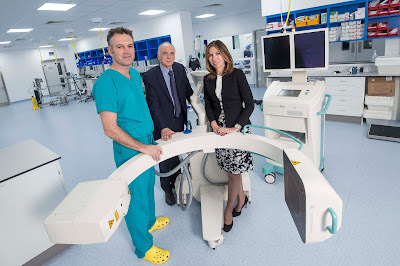 It is now the busiest C Arm in the UK and in use daily which is why we recently bought more lead-lined gowns." James said "I think what we have achieved shows what a fantastically supportive and charitable sector we work in and many BCO members have played a large part in what Rumba has achieved." At the BCO annual general meeting last evening, I was honoured to pass on the mantle of the BCO presidency to Katrina Kostic Samen, founder and managing partner of KKS Strategy. I know she’s got big plans for the organisation. Before I get back to my everyday life at Make, though, I’d like to reflect on my time with the BCO. Since being nominated to become junior vice president in 2015, I’ve had a fantastic few years with the higher echelons of the BCO. My first task was to help shape and lead the last plenary session of the 2016 conference in Amsterdam; after that it was to organise the 2017 conference in London. A monumental task, I quickly realised! 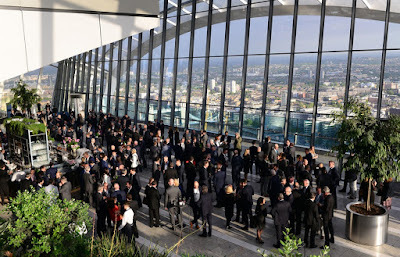 Despite the plentiful challenges of pulling together a 3-day event for over 500 delegates in a city everyone thinks they know already, I’m confident the ‘London Refocused’ conference was a great success. We had tours of more than 40 workplaces and talks from celebrated designers, experts and thinkers such as Juliette Morgan, the now-former head of the Futures Group at Cushman & Wakefield, former US diplomat James Rubin, workplace transformation expert Despina Katsikakis, and Paul Chong, director of IBM’s Watson Group. 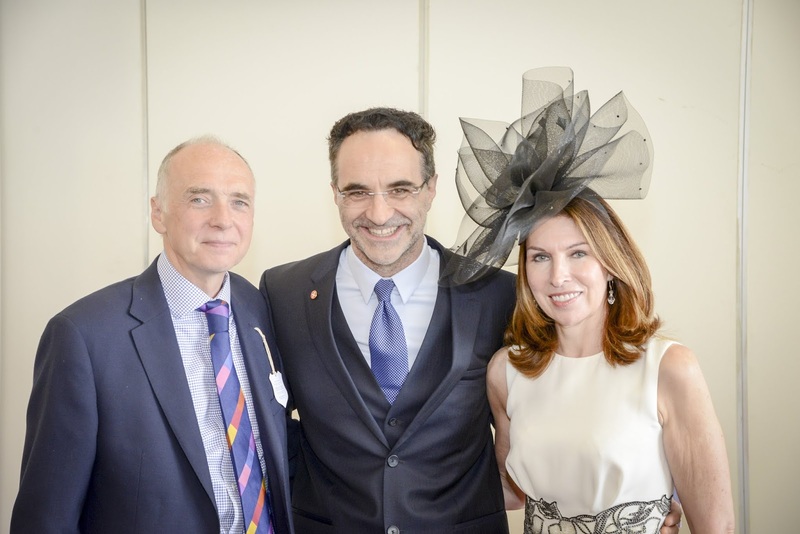 And of course Lord Foster as the keynote speaker – an absolute highlight for me and many others. Key themes to come out of the event included placemaking, flexibility and sustainability, as well as the influence of technology and the growing trend of wellbeing in commercial environments. These are all topics we’re thinking about at Make, and I’m excited to see how all of us in the industry can contribute to evolving and progressing them in the coming years. Since the conference, I’ve visited BCO regions around the UK to meet with the committees, attended key events such as the President’s Lunch and the Annual Dinner, and helped create and oversee the NextGen competition, ‘The Office of 2035’. With regards to NextGen, I think it’s incredibly important for us to bring forward the next generation and provide the BCO with a ‘refresh’ to encourage younger and more diverse members. 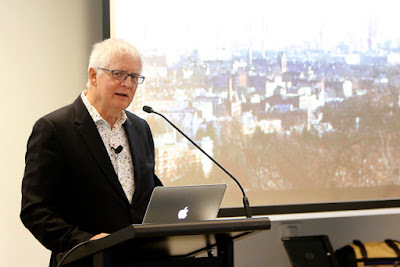 In August 2017, during a visit to the Make Sydney studio, I gave a breakfast presentation at Cushman & Wakefield on the key takeaways of the London conference. The success of this event, and seeing how interested people were in what’s happening in the UK, got me thinking about the importance of increasing the BCO’s global reach. It’s evident that we are seen as leaders in workplace design around the world, so we must keep working to remain that way. I think expanding our presence beyond our borders will be an important part of that. Richard Kauntze, BCO chief executive, has said they will be progressing the recommendations in the weeks and months ahead. At this year’s successful Berlin conference, Katrina announced her plans to focus on designing more inclusive workplaces as well as to push for greater diversity within the BCO itself, causes I both applaud. As for me, I believe that if the BCO is to remain at the cutting edge of office design, particularly in a post-Brexit landscape, it will have to adapt quickly and be responsive to members’ and market demands. It of course remains to be seen what the full effects of Brexit will be, but for the time being, I hope the BCO will show the world that we intend to stay a global hub for business, and will keep helping to create world-class workplaces for companies that want to be here. At next year’s Copenhagen conference, we’ll delve into work-life balance, another important issue in our modern life. I’m looking forward to that as well. But for now, it’s been an absolute honour to have been a part of this institution, which has formed the bedrock of UK workplace design guidelines for nearly three decades. It’s produced fantastic work over the years, but I firmly believe that the best is yet to come, and wish Katrina the very best of luck for the coming year. Intelligent Buildings and the Internet of Things (IoT) in real estate are much talked-about, and for good reason. Analyst predictions suggest that there will be over 10 billion connected devices deployed in real estate by 2020. Watching this trend, the British Council for Offices (BCO) has just published a new report on intelligent buildings: “Fast and Slow Buildings: Responsiveness through technology and design”. It was authored by the building service engineering firm Max Fordham, for which Deloitte was a contributing author. BCO members can read the full report here. 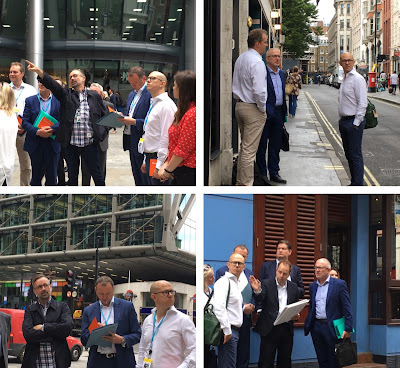 In this blog, I’ll explain what’s meant by building ‘intelligence’, and share four things we’ve learnt from our work in the intelligent buildings space. 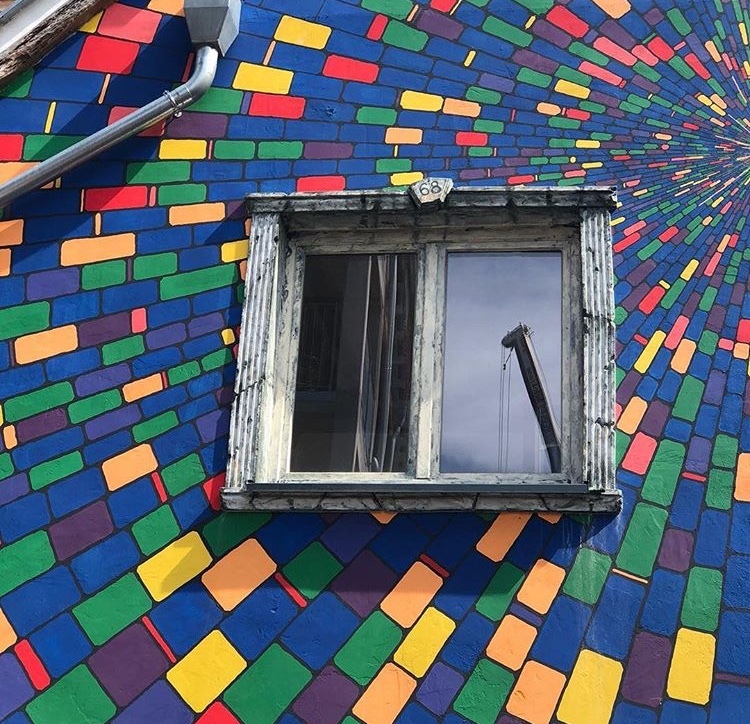 Intelligent buildings contain connected networks of sensors and actuators, which integrate with traditional building systems (such as lighting and air conditioning) to continually improve and automate the operations of the building in question. The network of sensors might include occupancy tracking which measures the ‘busyness’ of the cafeteria and suggests when to visit. There could be a set of sensors that monitors the indoor environment and the efficiency of air conditioning. A corresponding set of actuators would automatically optimise energy consumption and make the working environment more comfortable for each individual employee. Automated systems of sensors and actuators drive operational efficiency, reduce cost and environmental impact, and improve the employee experience, which in turn generates value by improving productivity. Often the term ‘Intelligent Building’ is applied to eye-catching new-build headquarters, but not to pre-existing buildings. It’s estimated that 85% of building stock that will exist in 2050, is already in existence today (Existing Homes Alliance). Thus, there’s a significant opportunity to leverage building intelligence by retrofitting existing spaces with intelligent systems, in addition to the opportunities presented by intelligent new builds. Historically, traditional building subsystems could be centrally controlled and were connected with one another. But a building being connected doesn’t equate to it being intelligent. Data from these subsystems needs to be shared and augmented by other sensor data, so that insight provided by this data can help solve wider business problems. Knowing where to find a free desk is useful. But what if your building directed you to sit next to a previously unknown colleague with shared interests to try and create an opportunity for serendipity – that’s intelligent. #3 Don’t use technology for the sake of it – focus on business problems instead Deloitte Digital’s Chief Disruptor, Ed Greig, regularly reminds innovation novices and veterans alike to “fall in love with the problem, not the solution”. It’s easy to get excited about sensors and touch screens, but this should always be underpinned by a clear understanding of the cost and benefit drivers that influence real estate space, as well as a deep understanding of the building users’ needs. How do you measure the value of a new real estate technology? And how will you act when you’ve measured this value? When talking about the Internet of Things, we refer to the ‘information value loop’. A sensor creates data, which is communicated, aggregated and analysed. Then, someone or something has to act on the outcome of the analysis. The process starts over, measuring the impact of the new change. Realising the value of an intelligent building requires an iterative approach, where data communicates the value of the work and informs future decisions. For information about how we’re helping clients understand Intelligent Buildings as part of the Global Consulting “Future of Work” agenda, contact Rob Scopes. For information about the Internet of Things, contact Ben Steward. 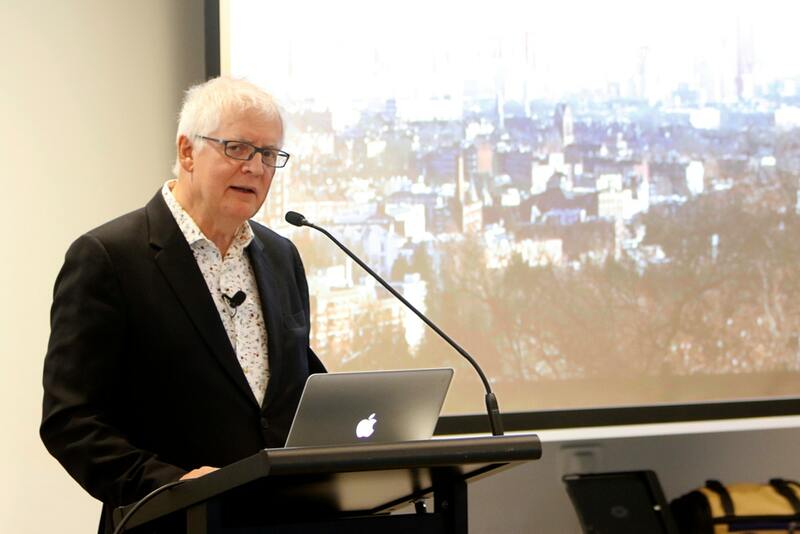 The British Council for Offices (BCO) has released “Fast and Slow Buildings: Responsiveness through technology and design”, for which Deloitte was a contributing author. BCO members can download the full report here. 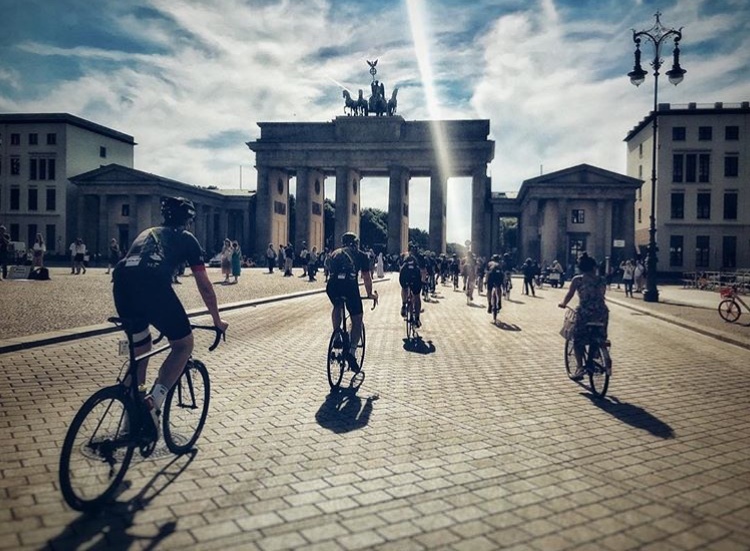 Art Acumen are proud to present the winners of BCO Photo Berlin, the inaugural Instagram photography competition for BCO’s annual conference. Overall winner. Diversity - winner. A well observed shot and very balanced. 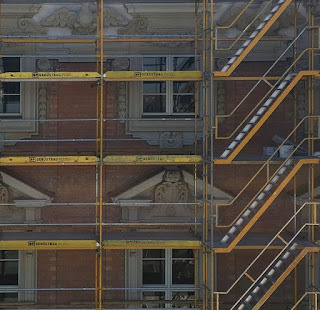 Powerful story telling, the photographer alludes to the people behind the façade. Overall runner-up. Inclusion - winner. Great juxtaposition between the old and the new. Technically one of the best pieces. The composition is very good. The photographer has been very innovative showing the layering of history. 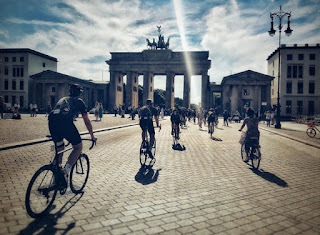 Great sense of vibrancy and movement, connecting people to one Berlin’s most iconic structures. Link back to people, which is what architecture is all about. "As most photographs were taken with a smartphone, more emphasis was placed on storytelling and originality than photographic technical skills." Katrina has built a practice which is a recognised leader in workplace strategy and interior architecture, reflected in many achievements and awards over the last 15 years. Katrina’s belief in pushing boundaries, striving for excellence, and expanding the professional body for commercial offices is represented in her fundamental principle: Be Creative, Add Value, Have Fun! Michael is Chief Executive of the Royal Photographic Society, an educational charity with Royal Charter founded in 1853. Prior to this he was a Director at Christie’s, where he was the international business director and member of the senior management team. 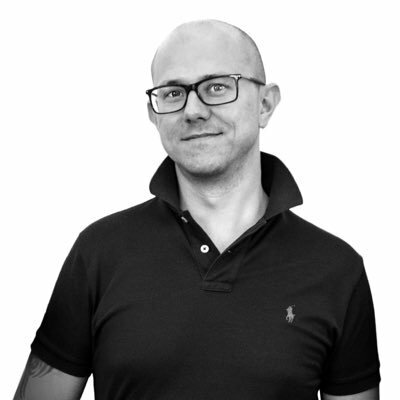 Grant Smith has an extensive knowledge of London's architecture and is commissioned by all sectors of the industry including design companies, magazines, architects, contractors and engineers. His body of work includes some of the world's iconic structures: the Pont de Normandie, second Severn Crossing, the Sydney Harbour tunnel, the Millennium Bridge, the Millennium Dome and the Gherkin in London. He is currently photographing London's newest skyscraper, The Scalpel. Working exclusively and black in white, Stuart Redler photographs buildings from all over the world. He has received many awards, including six from the Association of Photographers, who awarded him a Gold Medal in 2000 for his portfolio of Architectural Images. He has also received Graphis, PDN New York and Communication Arts Awards, amongst others. As well as appearing in various private collections, his work is included in the permanent collection at the National Portrait Gallery in London and has been exhibited at the V&A Victoria and Albert Museum, London. Catherine is the creator of #BCOPhotoBerlin and Managing Director of Art Acumen, a consultancy providing art services to corporate, public and private clients. 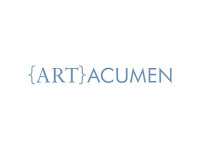 They specialise in curating and commissioning art collections, devising bespoke creative projects and place-making through public art programmes. For the past 16 years Catherine has delivered visionary art strategies and inspirational art commissions for many corporate, public and private clients, building a formidable portfolio and excellent reputation. Editor at OnOffice. 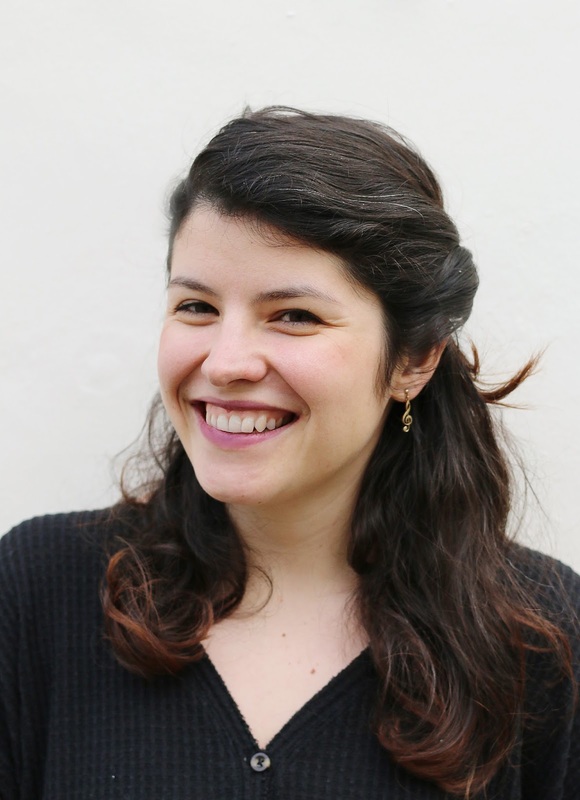 Born in Bulgaria, raised in Morocco, “matured" in the UK, Elissaveta is Editor for OnOffice. Her career started in the field of architecture and design where she developed a talent for creative thinking and an eye for aesthetics. In 2014, she found her calling in design journalism. To enter - Upload your photo via Instagram using the hashtag #BCOphotoberlin or email to BCOphotoberlin@artacumen.co.uk. This is an Instagram competition and judging will take place from INSTAGRAM and emailed entries only. Entrants are encouraged to share their entries elsewhere online but only Instagram and emailed entries are officially accepted and judged. There is no limit on how many images you can enter. The final deadline for submission is 31.05.18. 5-Star Hotel Vouchers and cash prizes are up for grabs! Also up for grabs is a highly sought after Stuart Redlar print PLUS all winners and highly commended will be invited on an architectural photographic tour of London by Grant Smith. I have just completed a very enjoyable three years chairing the research committee of the British Council for Offices (BCO). In this time, two themes stood out above all others, writes Bill Page, Business Space Research Manager, LGIM Real Assets. These two things are: occupiers are customers and investors have to treat them as such; and office space is a performance lever for companies, not just a shell that gets handed over. “Occupiers are customers” may sound a bit trite. It has been part of the dialogue ever since the industry realised the Landlord and Tenant Act sounded a bit feudal and can indeed be adversarial in practice. It means landlords must go beyond their contractual liabilities and understand what end-users actually value. And end-user means the employee - not the corporation who signs the lease. Corporate requirements of appropriate lease length, catchment demographics and portfolio flexibility, for instance, do not always match “What Workers Want” which can be as simple as comfort, cleanliness, reliable Wi-Fi and, most importantly, pride in their place of work. Ensuring occupiers are happy should be obvious. Everyone wants good service, but real estate lags behind other industries. Only 1 in 5 office occupiers within traditional space say their landlords are responsive, according to Real Service Ltd. But this rises to 4 in 5 occupiers within co-working space. Arm’s length interaction through disinterested intermediaries is no longer an option (nor should it ever have been). We have no doubt that content occupiers will stay in their offices for longer and therefore drive more income, less re-letting risk and less costly refurbishment than occupiers who vacate at their first opportunity. A fundamental requirement of any building is to protect its occupant from harm. 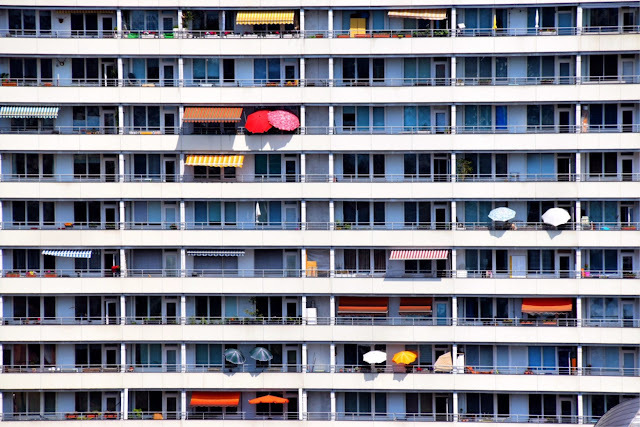 This sounds straight forward but the evidence of sick building syndrome, legionnaire’s disease and asbestosis tells us real estate can get this wrong. However, offices are now being designed to promote good health - not just the absence of harm. The physical building needs to address air quality, light levels and views of nature, for instance, while under certain certification occupants will need to promote the use of internal stairs and even the size of the plates used in the canteen. Healthy offices enable productive work. Employee costs are between 7 and 15 times office costs and real estate can improve the productivity of these employees by around 3%. Productivity improvements are therefore the single most important contribution property professionals can make. 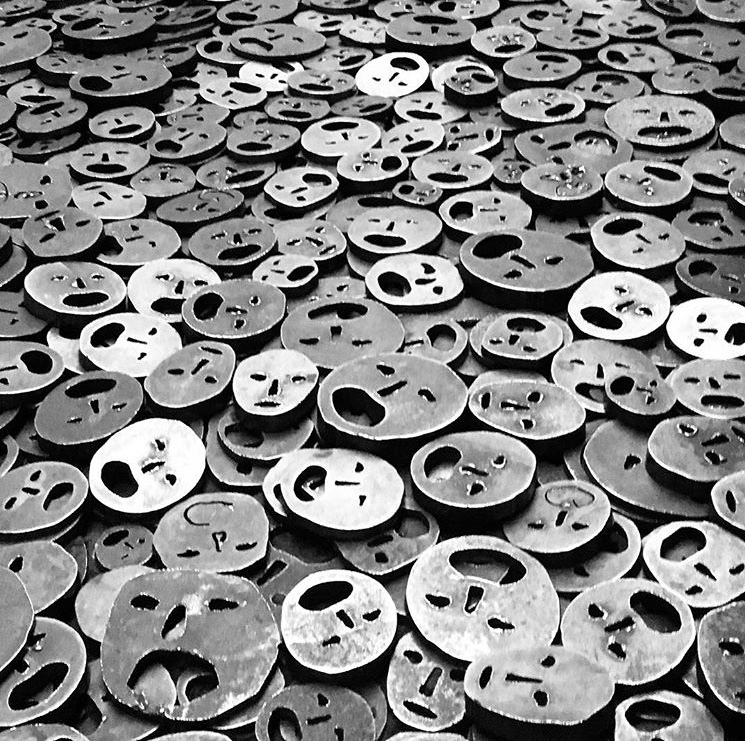 The costs to productivity from ineffective measures to cut costs, or by imbedding poorly thought through intensification, for instance, can be astronomic. Knowing how healthy employees are and how they are utilising space is important in managing the workplace. Smarter buildings require skills to operate and can create a huge amount of data to interpret. Furthermore, some of the most useful data comes from technology that is wearable. Wearables can measure location, air quality, calorie intake, anxiety or even posture. But as soon as employers try and utilise such data – even if demonstrably for the greater good – there are understandable privacy concerns. We expect data from wearables to be used as evidence in legal cases where workers claim their workplace has caused them physical harm. Employers will get sued and may counter-sue their landlords. 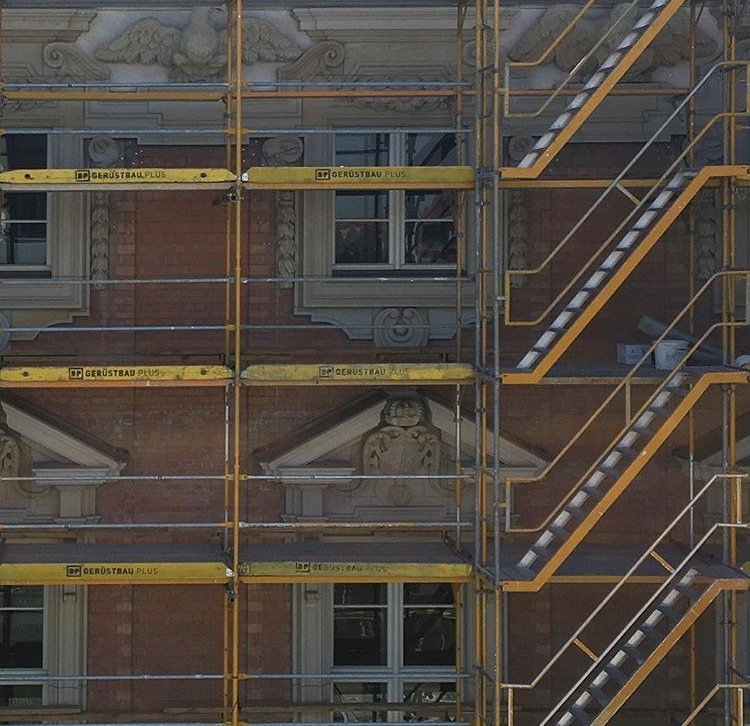 This all requires the better use of technology – across all points of a building’s lifecycle. For instance, buildings can be designed, constructed, marketed and managed using 3D representations of complex engineering systems. Visualisations can be fully immersive or collaborative. There are opportunities for full engagement between all interested parties before the first spade goes into the ground. This covers how office buildings are perceived externally – how they dominate a streetscape or interact with the public realm, or internally - the all-important first impression can be visualised and optimised. Once the reception looks good the hospitality skills of those who run it cannot be forgotten. This is another area where we are seeing a virtuous “race to the top”. There are meaningful implications to real estate investors. Human engagement between landlords and occupiers will become more important, not less. This can be enabled by technology making mundane tasks efficient leaving time for valuable human interactions. Buildings will become smarter, more complicated and with an increased requirement for non-income generating space such as big receptions and touch down areas. Ultimately, however, the delivery and management of offices will be about curating the productivity of its occupants. Landlords who engage will see financial rewards, landlords who stand still will be overtaken. Read the full 2018 preview: Expert forecasts including Richard Kauntze and Ken Shuttleworth in Property Week. "I hope to see the industry continuing to drive the debate around the positive role the workplace can play in the prosperity of UK business. In times of economic and political uncertainty, it’s more important than ever that we understand and demonstrate how the right workplace can add value to a business, rather than being viewed simply as a cost. An exemplary o­ffice can strengthen a ‑ firm’s brand and reputation, and help drive more e­fficient and productive working. I expect to see the conversation around health and wellness in the workplace increase and become more sophisticated. The line between our work and personal lives has long been blurred, but there is now broader recognition that addressing this, and improving employee health and wellness, will be a key factor in helping to solve the UK’s productivity puzzle. Consequently, there will be a need to develop more effective ways of measuring employee health and wellness. This should allow us, as an industry, to become better equipped at designing healthy workplaces that encourage wellness and facilitate productive working. Resolution - To focus on the issue of diversity and inclusion in the workplace. 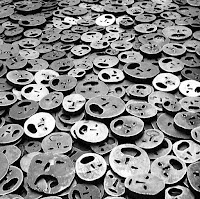 We want to play a greater role in this debate and, as such, have chosen the issue as the theme of our annual conference, which for 2018 will be in Berlin. We’ll be interrogating how o­ffice environments can help progress the diversity agendas of their occupants, and how we can ensure the workplaces we are creating embrace and engage all employees." 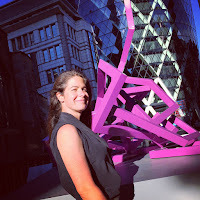 "I’ve been very inspired by some of the buildings delivered in London this year; my hope is that these don’t dry up as the country braces itself for Brexit. The temptation is to batten down the hatches, but, to my mind, it is now more important than ever to show the world we intend to stay a global hub for business and will continue to create market leading commercial stock to accommodate firms that want to be part of that. I think we’ll see much more around the issues of wellness and their natural spin-offs into coworking and co-living as we look to create inspirational, comfortable and adaptable places in which to work and live. It is fascinating how technology is playing such a role in shaping our built environment, and collaboration to design buildings and spaces will become ever more important to facilitate this. I’m really looking forward to the BCO Berlin conference and its focus on diversity. Never more important than now. Resolution - We’re strategising at Make for the next 12 to 18 months and it’s so interesting to see what different people view as being a real focus and passion for them. All different, all important, all showing where their talents and strengths lie. My resolution is to try and help facilitate this wherever possible and, for Make, to grow our international profile and portfolio." As seen in Property Week.